Nuclear power plant licensing decisions -- already delayed by a 2012 court ruling -- could be pushed back further by the federal government shutdown. The NRC will have to reschedule a series of meetings that kicked off this week on a proposed new “waste confidence” rule that is meant to address the ruling. Most of the federal government shut down on Oct. 1, the start of fiscal 2014, because Democrats and Republicans in Congress cannot agree on a temporary funding bill. Democrats are rejecting GOP attempts include in the budget a repeal of the health-care reform law Congress approved in 2010. Last year, a federal appeals court sided with the states of New York, Connecticut, Massachusetts and Vermont, which argued the Nuclear Regulatory Commission wrongly assumed spent reactor fuel eventually would move to a permanent waste repository, even though the Obama administration canceled the Yucca Mountain project in Nevada. The court ruled in New York v. NRC that the commission must examine the potential consequences of fires in spent fuel pools -- where much of the waste currently is stored. 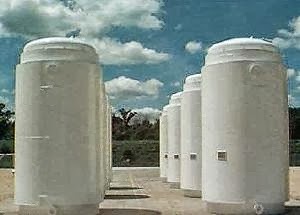 Critics have argued the pools are vulnerable to terrorist attacks given that they are located outside reactors’ containment structures, and in some cases in an elevated area they claim is more susceptible to air attacks. In response to the ruling, the commission on Sept. 13 proposed a new “waste confidence” rule that it claims addresses the court’s concerns. Between now and Nov. 27, NRC staff planned to collect public comments on the new proposal, including by hosting a series of public meetings throughout the country. Many of the meetings will have to be rescheduled. As a result, the public-comment deadline, and consequently the commission’s final decision on the matter, also could be pushed back. Prior to the shutdown, the decision was expected by September 2014. The commission has already directed its staff not to issue any final decisions pertaining to the relicensing of existing plants or approval of proposed new facilities until the waste-confidence issue is resolved. Meanwhile, the commission’s approach to addressing the 2012 court ruling is under fire. In May, the same group of states that prevailed in the case filed a petition with the commission arguing that the scope of the new review of the impacts of leaving the waste at plant sites is not as broad as the court mandated. The petition said NRC staff refused to consider the possibility of forbidding the creation of more waste until a repository is constructed -- an option the states said the court “explicitly recognized to be reasonable.” Commission staff also declined to look at the potential for requiring plant operators to move spent fuel that has already been cooling in pools for more than five years into dry cask storage units that the states argue are more secure. The commission in July decided to continue the rulemaking proceedings and not respond to the states’ petition in a separate forum.